Influential industry speakers to address attendees at this year’s Global Gaming Expo Asia (G2E Asia), the marketplace for the Asian gaming industry. Francis Lui, deputy chairman of the Galaxy Entertainment Group, will provide the opening remarks on May 16. •	Best practices to mitigate the risk of fraud and other security threats in the gaming sphere. 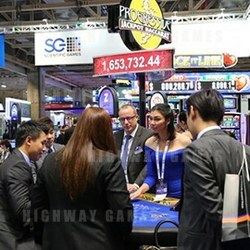 G2E Asia’s conference will be held May 16 to 18 at the Venetian Macao in conjunction with the exhibition. The conference intends to foster learning, present emerging opportunities and highlight the latest global industry trends. The many key developments emerging in today’s Southeast Asian gaming markets, including a thriving gaming landscape in Macau, Singapore and Japan and more, will be closely examined during the conference. Also discussed, will be the industry’s opportunities in emerging markets like Cambodia, Laos, Myanmar, Thailand, the Philippines and Vietnam, making them prime territories for future innovations. The Asian Markets Forum will offer a thorough assessment of topical issues affecting gaming in Asia today, specifically Macau, Singapore, Japan, Cambodia, Laos, Myanmar, Thailand, the Philippines and Vietnam. PricewaterhouseCoopers will address Japan in greater detail, explaining why it has been earmarked by industry experts as potentially one of the largest gaming markets in the world, with the potential to generate tens of billions of dollars in revenue, with significant attribution to the development of the “Osaka Strip”. With an eye towards the future of gaming, the most ambitious businesses know that a broad offering of hospitality and entertainment amenities will drive revenue beyond the casino floor. With a government directive to create integrated resorts, the conference will highlight developments that answer the call to drive tourism and boost revenue. •	The American Gaming Association will lead a new Executive Roundtable on Content and Amenities for the Mass Market from 09:30 to 10:45 on May 17.
o	Walter Bugno, Chief Executive Officer of IGT International. •	Integrated Resort Operations and Marketing will also be a key conference focus with Mr. Paulo Martins Chan, Director of Macau’s Gaming Inspection and Coordination Bureau, delivering his keynote address at 14:15 on May 17. •	The first-ever IAGA Best Practices Institute, organized by the International Association of Gaming Advisors. The iGaming Summit, titled Next Generation Products & Marketing, will take a close look at how to leverage digital opportunities, assess the global rise of eSports and highlight how Asia is leading the way. Online casino trends and Asian gaming markets will also be thoroughly explored, showing participants how to keep a finger on the pulse of gaming today and how to identify new opportunities. In a content-rich final day, the IAGA Best Practices Forum will conclude with final sessions, including mobile solutions, internationalization and an in-depth assessment of regulatory best practices to prevent fraud and promote gaming integrity. To learn more about G2E Asia 2017, visit: www.g2easia.com.